and opportunity that could allow us to start a Full Service Sign Company, which could thrive and succeed in today’s economic climate. We have spent a lifetime building relationships and providing superior customer service to our customers. 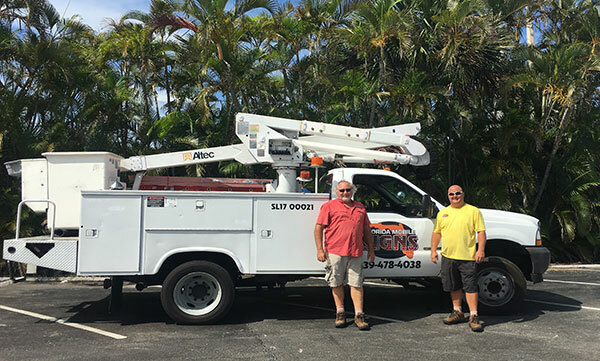 Together we bring over 65 years of knowledge and experience in the Sign, Neon & Lighting Industry, and LED & Service Industries; including extensive business management and professional ownership backgrounds. We are working owners, and we believe in face-to-face meetings with each potential customer. When you meet with us, you’ll get an owner, not a salesman. We care about what we do and have the knowledge to help our customers transform their ideas into eye-catching signs that work within their marketing and business plans. Our goal is to satisfy our customers, every project, every time! We want to build solid working business relationship with our customers, as we want to be their sign partner for years to come. Signs not only communicate to your target audience, build brand identity and loyalty, they represent a significant portion of an organization’s marketing plan and budget. Signs should not be an after thought when starting your business or organization, while expanding, or growing your market share and locations; it should be at the forefront of your business plan. If your target audience can’t see you or don’t know you are there; you’re business or organization will struggle to succeed. Florida Mobile Signs, LLC will help you bring your plans to life through an in person site survey and branding meeting. 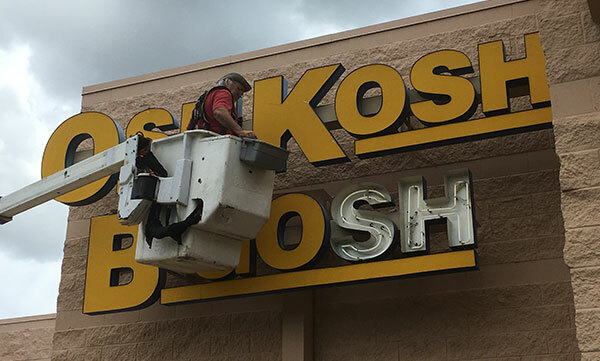 We work together with our customers to help them reach their target audience with the most effective, complete sign package, that meets their needs while working within their financial budget and adhering to their municipal ordinances. Our goal is to be your sign partner for years to come, give us a call today to help you grow and succeed! CLICK HERE TO STAY CONNECTED WITH US ON FACEBOOK! Mon - Fri | 8 AM. - 5 PM.